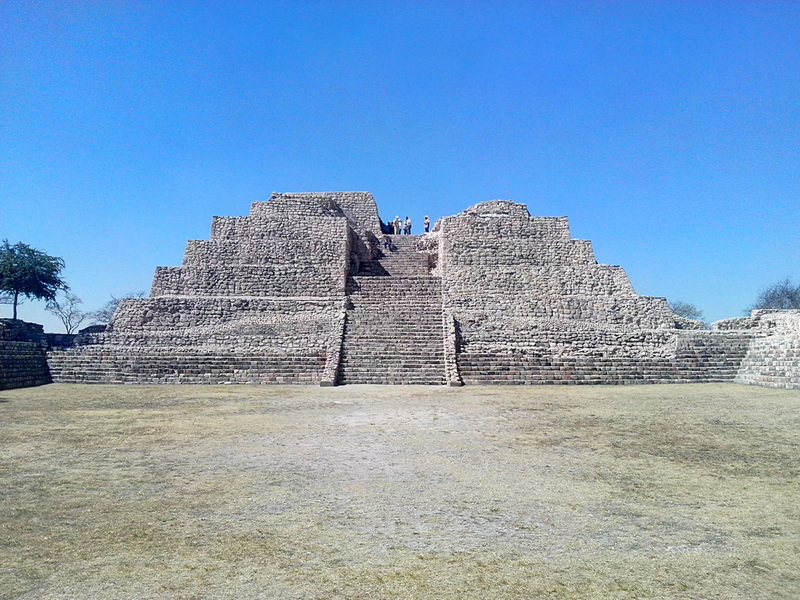 This great archeological site was opened for the public in February 2011. The pyramid was built by Otomies between 450 A.D. and abandoned in 1,050 A.D. The purpose of this place was to study the stars, planet and constellations in order to predict raining seasons, solstices and equinoxes. Wednesdays and Saturdays, 9:00am. You can join a small group for VIP service. Groups are limited to 10 people. You will be picked up at your home. The tour takes four and half hours. Our van picks you up at 9:00am at your home. The drive from San Miguel to Cañada de la Virgen takes 40 minutes. We will have reservations for the 10:00am group and will be back in San Miguel by 1:30pm. Vehicles are not allowed close to the archeological site. For this reason we have to walk about a mile to the site and back. We encourage you to bring a hat, comfortable shoes and use sunblock since we will be walking in the sun for two hours. A bottle of water will be provided. Purses, bags and backpacks are not allowed in the site. You can leave your purse or backpack safely in the vehicle. Albert Coffee is the guide for this tour and worked on the site with the leading Archaeologist during the excavation. His knowledge combined with his enthusiasm for this exciting archaeological site has given him the reputation of being one of the best guides for this tour. Transportation, English speaking tour guide, bottles of water and entrance fee. Any day. Price: $50 USD per person. Minimum of four people required. Make reservations in advance.